Principal Valiant is the principal of Shelbyville Elementary School. 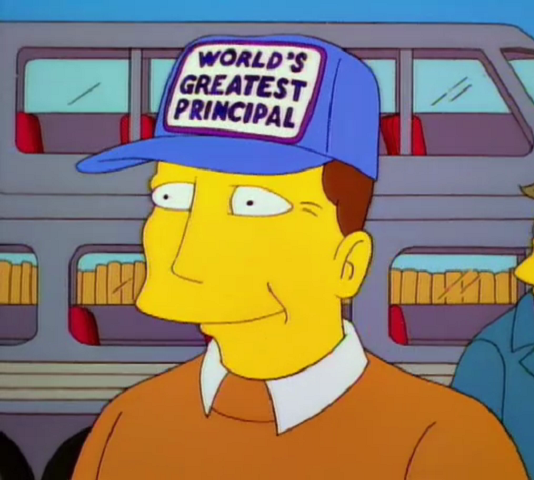 He is a multiple winner of the "Princey" award - much to Principal Skinner's vexation - and is known to slip the cashiers at historical sites a little extra money to "see to it that they [his students] get a little extra learning." Episode – "The PTA Disbands"
Modified on January 5, 2013, at 10:47.